Website for an organisation dedicated to preventing youth homelessness. Created with Ben Soffa to a supplied design. 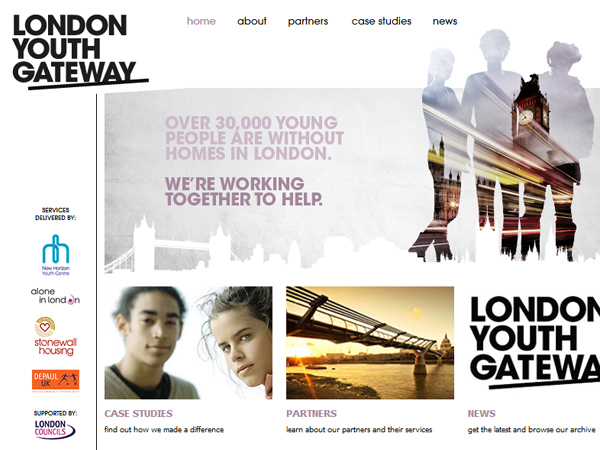 Visit the site here: www.londonyouthgateway.org.uk/ (opens in new window).